Presumably, Samsung doesn't know the final specifications of the sixth-generation iPhone, including what baseband chip Apple is employing in the new handset, but many believe 4G LTE compatibility is an inevitability given the state of the smartphone market. A report on Friday noted the so-called "iPhone 5" would feature worldwide LTE, though compatibility will reportedly be limited to certain markets and carriers. The rumor echoes a previous report from the same publication that said Samsung would "immediately sue Apple if the latter releases products using advanced long-term evolution (LTE) mobile technology." Apple has already released a 4G device in the third-generation iPad which made its debut six months ago. "Its true that Samsung Electronics has decided to take immediate legal action against the Cupertino-based Apple," an unnamed Samsung official told The Korea Times. "Countries in Europe and even the United States ― Apples home-turf ― are our primary targets." "Apple claimed the existing 3G-related patents are standard essential patents (SEPs) according to our earlier commitment to the FRAND (fair, reasonable, and non-discriminatory) terms," said another Samsung executive. "But the story is totally different when you talk about LTE patents. These are new and highly-valued." The report comes on the heels of an alleged confirmation from unnamed sources that local mobile operators would be carrying Apple's next-generation iPhone on its 4G network, strongly hinting that the smartphone would be LTE-compatible. 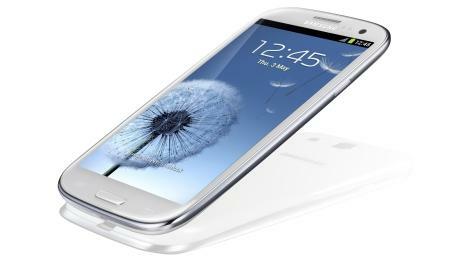 If the iPhone 5 does support 4G LTE networks, it will be facing competition from Android-based devices like Samsung's own flagship Galaxy S III, which recently passed the iPhone 4S to become the top-selling smartphone in the U.S. It is unclear if the rumors are true, however Apple and Samsung are locked in a worldwide patent dispute, and the South Korean company has pulled from its extensive wireless patent portfolio to counter suits from the iPhone maker. Apple is widely expected to unveil its newest handset at a special event on Wednesday, with a product rollout thought to follow on Sept. 21.